As much as Holidays are fun, I just hate the Tan. 1. Lemon juice - Cut a lemon and rub a slice on the tanned skin and it may not remove the tan but will help you lighten it. 2. This is the time to show off all your hats, sunglasses and bandanas. 3. 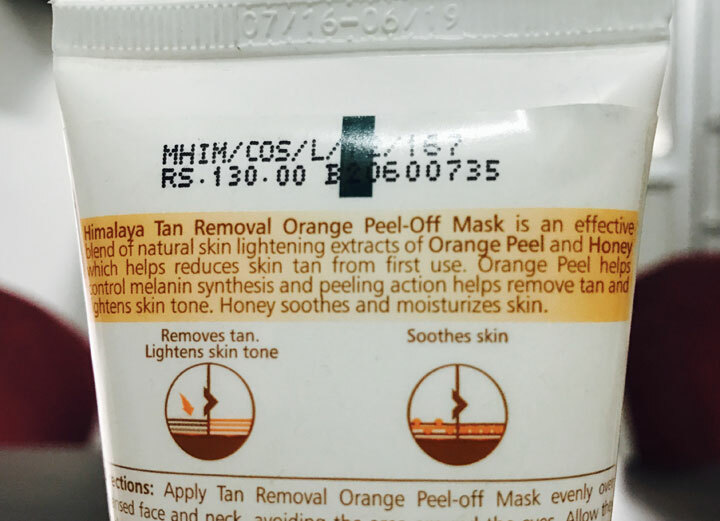 Last and most important thing always keep Himalaya Herbals Tan Removal Orange peel-off Mask handy. 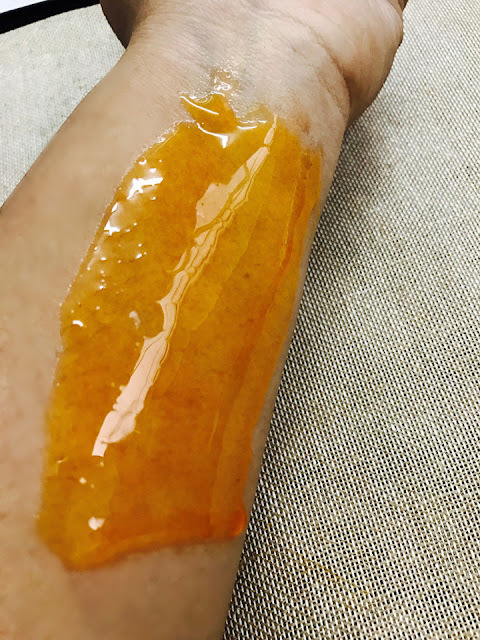 It is an effective blend of the natural skin lightening extracts of Orange Peel and Honey, which helps reduce skin tan from the very first use. Orange Peel helps control melanin synthesis with the peeling action helping to remove tan and lightening skin tone. Honey soothes and moisturizes skin. Apply Himalaya Tan Removal Orange Peel-off Mask evenly over cleansed face and neck, avoiding the area around the eyes. Allow the mask to dry for 10- 15 minutes. Gently remove the peel from the side of the face. Use once or twice a week, based on skin type. Do not apply on broken or inflamed skin. Also before frequent use do a patch test on your hand 24 hours before facial application. It comes in a standard Himalaya Herbals white tube packaging with a green flip cap. It is very handy and travel friendly, so next time you are on a trip don’t forget to add this to your bag. It feels like a gel and is orange colored, smells like a citrus fruit. It’s a quick home tan facial and much cost effective. The vitamin C which in plenty in orange peel does not only give healthy, plump skin but also helps in fading scars with time and even outs the skin. The peel-off action basically removes all the dead skin cells and hence gradually removes tan. 1. Dries pretty fast so the application needs to be done fast. Overall, I trust Himalaya Herbals Tan Removal Orange peel-off Mask and I am good to go on a vacation ! !